Female and Male dancers for our touring shows abroad for 2019. Female dancer/singers for our shows abroad. Male and female singers/tribute acts who can work a full season abroad. Our books will be open for new agency representation in the industry. If your a triple threat, please attend the audition call as a dancer and register your time slot for the singing call. Dancers need to be technical with strong performance skills. 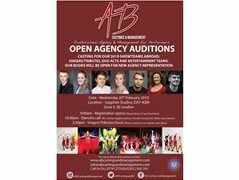 We are interested in seeing dancers who have speciality skills- Fire/Hoop/Acro which we would incorporate into our shows. Singers will be required to sing in various locations of work, touring abroad for summer 2019. Singers are required to register their interest for a time slot. Time slots will be given out to successful applicants who wish to apply.